The front door is the way people get into their own homes. 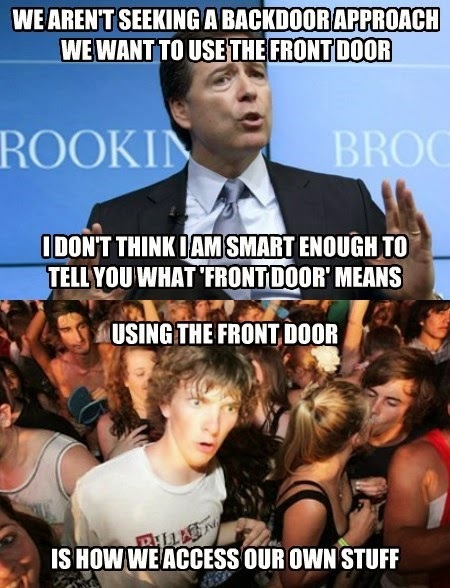 If the FBI wants to use the front door to get into mobile devices, I think they should have to figure out the passwords to those devices. I can't imagine any other reasonable definition of "front door". Everything else is a backdoor.